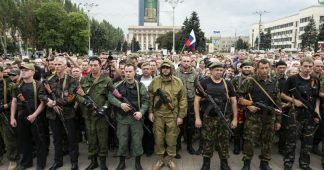 Rebel coalitions in Donetsk and Luhansk held referendums on independence in May of 2014 which resulted in many towns coming under the control of the self-proclaimed Donetsk and Luhansk People’s Republics; however the vote was rejected internationally with Kiev dismissing the move as a “farce”. 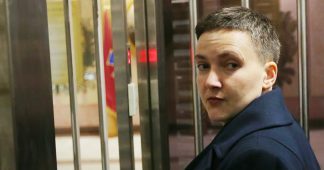 Kiev has pushed a compromise of offering the war-torn region some degree of autonomy while remaining under the Ukrainian state. Four years of fighting between pro-Russian separatists and Ukrainian government troops have resulted in over 10,000 people killed and more than one-and-a-half million displaced. 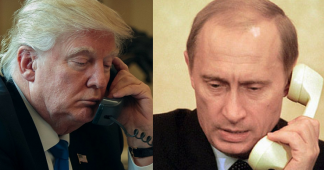 Thus far, much of the policy content that is rumored to have been discussed between Trump and Putin during their two hour one-on-one session in Helsinki on Monday has been kept tightly under wraps, with more description of what was considered coming from the Russian side. 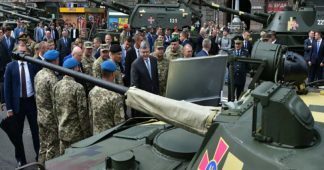 The proposal reportedly calls for a vote in separatist regions of the country that would allow the areas to decide their own status as a way to resolve the ongoing conflict in eastern Ukraine. …Such a referendum would almost certainly face intense pushback from Kiev and the European Union, which remain supportive of the 2015 Minsk II agreement to halt the fighting in Ukraine’s Donbas region. It would also mark a change in Washington’s position, which calls for Russia to live up to its commitments under the Minsk agreement. 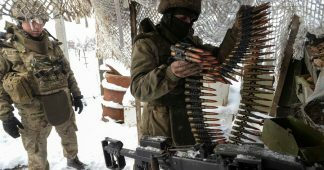 Or we could translate this more simply as given that some three quarters of the Donbas region identify Russian as their main language, and with Western media reports long acknowledging the multiple polls suggesting the majority in the region reject the EU/US-backed government in Kiev, a referendum on the future of the contested remains unconscionable for the Western alliance. “We agreed to work on this for now on the expert level. 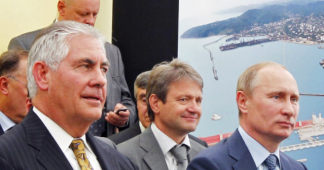 In my view, this is a positive element of movement forward,” Putin said. Kiev has this week also been seeking clarification of what was discussed at Helsinki. Western and NATO leaders have shown heightened concern over potential future White House policy after last month Trump reportedly told fellow G7 leaders that the Crimean peninsula was part of Russia “because everyone there speaks Russian” (in reference to Russia’s 2014 annexation of Crimea). Though President Trump has been hounded by accusations of “treason” and “collusion” more than ever before in the wake of his controversial closed door meeting with his Russian counterpart, NPR on Friday seems to have deflated one of the key ‘Russiagate’ talking points bolstering this narrative.